dedicated to Lord Kartikeya, it is a temple amidst mystic ambience and a mesmerizing view of the Himalaya. This holy temple is hanging on a hilltop at a height of 3050 metre. 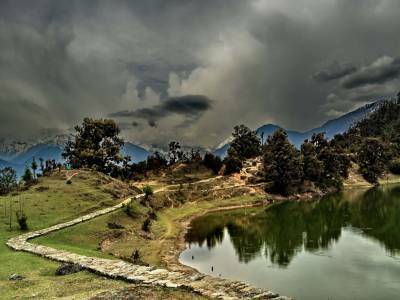 The Kartik Swami temple is located near a small Himalayan town named – Kanak Chaurithat which comes on the route of Rudraprayag-Pokhari. 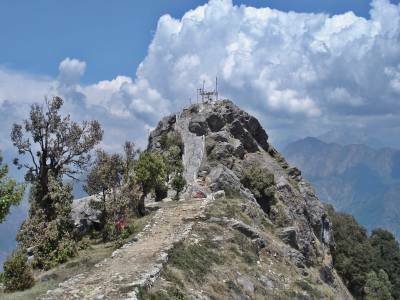 This temple is predominantly well known for its exquisite trekking experience. One has to trek 3 kilometre uphill from Kanak Chauri village. 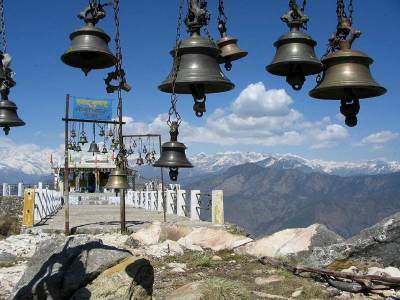 This holy temple of Garhwal Himalayas has a strong historical value. According to the Hindu Mythology, being defeated by Lord Ganesha in a challenge, Lord Kartikeya disclosed his rage and sacrificed his body and bones to Lord Shiva on veneration. Thus, the idol of Lord Kartik depicts the bones here and pilgrims worshiped him. The Kartik Swami Is Considered as “God for War and Victory” And is Known as Kartikeya in Bengal, Murugan Swami in Tamil Nadu, Subramanya in Andhra Pradesh and Karnataka States. The temple encompasses an idol of Lord Kartik Swami carved on a marble rock. The main attraction of Kartik Swami is the mighty Chaukhamba peak which appears in the temple background. The two major festivals celebrated in Kartik Swami temple, the "Kartik Poornima" which held in the month of November and Other is 11 Days "Kalash Yatra" In the month of June. 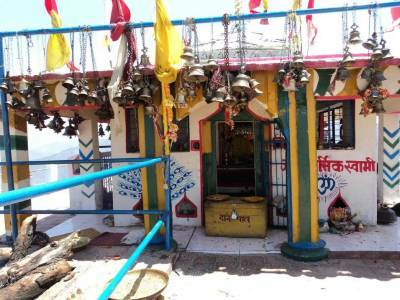 Apart from being one of the major tourist attractions of Uttarkhand, Kartik Swami Temple is also popular for offering the splendid sunrise and sunset views. The one, who wants to explore this place on a spiritual level, should not miss the divine evening prayers, mantra chants and mahabhandaras by any chance. Accessibility: The temple can be reached by a 3 km long trek starting from Kanakchauri which is a 40 km drive from Rudrapayag, the closest town. 175 kms from Rishikesh, Rudrapayag is 200 kms from Hardwar, 225 kms from Dehradun,405 kms from delhi, the nearest railhead and 230 kms from the nearest airport. Accommodation: There are a couples of places to stay in and around Kanakchauri. Budget guesthouses and village home stays are available at Kanak Chauri. Get quick answers from travelers who visit to Kartik Swami Temple.